Uttar Pradesh is high in the list of states where crime is rampant. Though the police and government try their best to curb the situation, it seems nothing is enough to put these incidents to rest for good. Delay in reporting the criminal activity offers criminals adequate passage to move out of the radar of police. The Uttar Pradesh government has come up with a new scheme that will offer people a better way to lodge their FIRs. Under this scheme, people will be able to lodge their complaints via portal or helpline, even without going to the police station. Betterment of police efficiency – The UP government wants to put more power in the hands of the police department. This will raise the overall efficiency of the police. Two modern FIR systems – People will be able to lodge complaint under this project in two different ways. One is with the help of the portal and the other is with the helpline number. i-Pads for officers – Under this scheme, around 22,000 police officers will be given i-Pads. These gadgets will assist them to access the criminal database within few seconds. Criminal database – The police department will create a criminal database. This database will contain information about 1 lakh criminals in the area and otherwise. The database will contain physical identification details of these criminals, their crime and sentence reports. 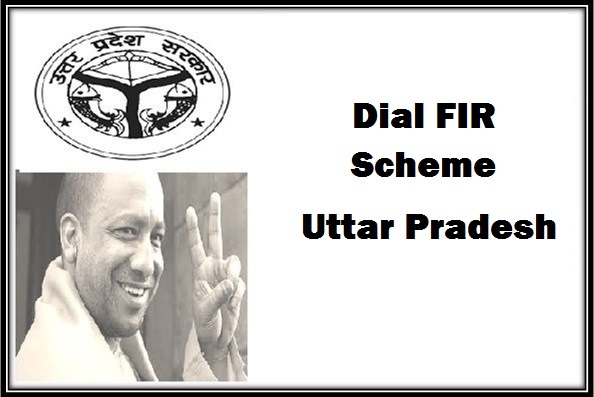 For specific crimes only – The dial FIR scheme will be applicable in case of specific crimes only. Serious crimes like murder, kidnapping and others must be reported to the police station, following the standard format. Robbery, theft, losing important documents and things, and missing people cases can be recorded by these processes. Pilot basis implementation – UP government wants to test the efficiency of this scheme. For this, the scheme will be implemented in Ghaziabad for two months. Number of verification services – The police will offer around 22 separate verification services under this scheme. How will this scheme come in handy? When anyone files an online FIR, the police will act promptly. The law and order department has stated that normal FIRs and online FIRs will have the same importance. AS police officers will have a ready criminal database at their disposal, they will not have to go through records manually. After reaching the crime spot, they will take photographs. As photographs of criminals are already loaded in the system, police officers will be able to make a list of probable suspects and show their photos to people in the area. This makes the identification process easy. Thus, police will catch the criminals faster. How to register the FIR? With this scheme in place, people will no longer have to go to the police stations to lodge their complaints. They can submit a FIR by logging on to the official portal or through the helpline number. The Uttar Pradesh government has not yet announced anything about the FIR portal for e-FIR and a helpline number for Dial-FIR. We will be the first to share any new information with you on this particular scheme. Apart from normal police work, UP police department will offer special skill and combat training to the policemen. It will help them to combat terrorist activities, if and when they take place. Anti-terror squad (ATS) and special weapons and tactics (SWAT) will be formed soon. The state authority is currently working on training 118 special commandos. For the first time, the same training will be imparted to female commandos as well. SPOTS or Special Police Operation Teams is another initiative that will strengthen the state police department. These teams will be deployed soon in places like Lucknow, Gorakhpur, Meerut, Allahabad and Kanpur. These teams will get adequate training that will enable them to prevent sabotage episodes.